We had so much fun at Disneyland. Our kids survived 16+ hour days like champs. 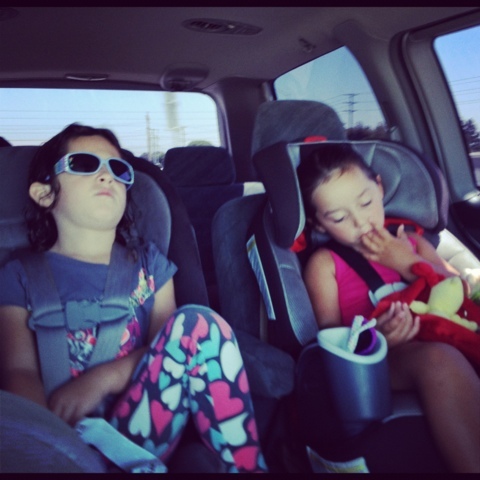 Driving home today the girls had Disneyland Hangovers. Gracie even had her "hangover glasses" on. Lily wasn't asleep in this photo (just looking down) but she did fall asleep 15 minutes later. Gracie is intently watching a movie, not mad. 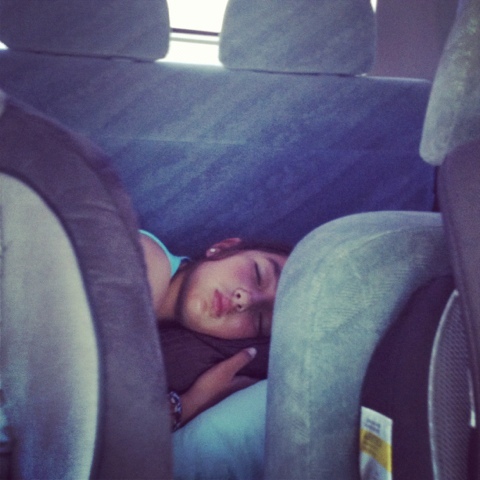 And then a while later, the hangover claimed Miss Rose too and she crashed out in the back seat. I may have even dozed off the last 30 minutes of our drive. No I wasn't driving! It is good to be home and everyone was in bed on time, in their own beds. Bean has tomorrow off too, so we will enjoy a slow day, getting back in the groove of things. We are so thankful we got to have this experience together. It was a successful vacation as a family of 5!